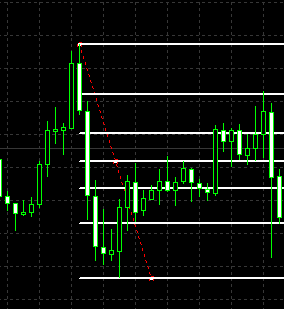 As you know, I use few technical indicators, but the main are Fibonacci Retracement and Extension levels. It is already built in MT4, but you have to configure it so you can use most popular Retracement and Extension levels at one time. Here is how to do it step by step. 1. 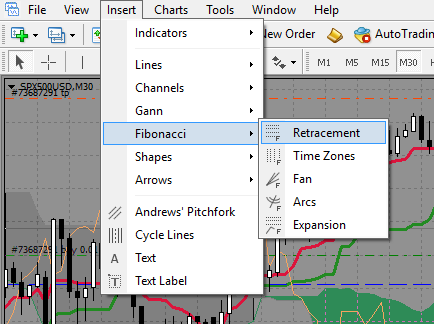 Where can you find Fibonacci Retracement in MetaTrader4? 2. How to change Fibonacci retracement and extension levels? Easy to follow instructions. Was successful in making my charts all the more useful. Question though: Is there a way to edit the fib level line colours, so that for instance the 0.236,0.382,0.500 and 0.618 retracements correspond with the 1.618 extension and all have the same colour line. Whereas the 0.786 retracement corresponds to the 1.270 extension, but have different coloured lines, as do the 0.860 retracement and 1.180 extension. Just a thought, it make the charts so much clearer. Very good idea with color match, but there is no way you can do it in Metatrader. Maybe in some other trading platform, but not here. Hi thanks for the teachings about fibo configure pls how can fix different colors in different fibo levels, thanks. You can't do this in Metatrader. 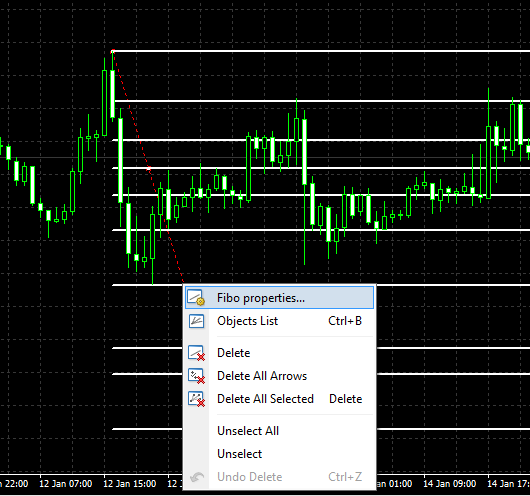 If you need this then try Tradingview, you can configure Fibo in similar way and set different colors for each level. great, this is a great tool to trade with. Good luck! Hello Simon, I have read up a lot of articles on Fibo trading but shallowly understood them. But man alive, with you it just became clearer and easier to do. You are a natural. Thank you a lot for being the kind and generous person that you are. Question, do you have a youtube channel maybe, or videos OF YOURSELF that you can share on Fibo trading?